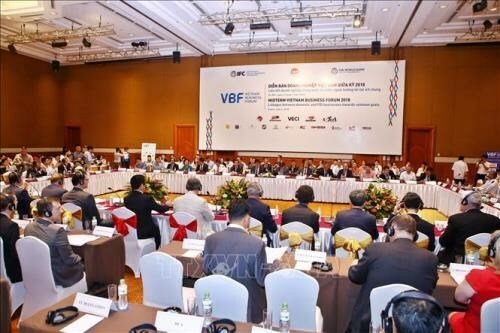 The year-end session of the Vietnam Business Forum will convene at Lotte Hanoi Hotel in the capital city on December 4, according to the Vietnam Chamber of Commerce and Industry (VCCI). The event will be held by the Vietnam Business Forum Alliance in partnership with the Ministry of Planning and Investment, the World Bank, and the International Finance Corporation. It will be chaired by Prime Minister Nguyen Xuan Phuc. The forum’s three sessions will focus on following topics: resources for infrastructure investment, improving knowledge towards the modern industry, and removing barriers for enterprises. Various presentations will be delivered by working groups on infrastructure, electricity and energy, capital market, banking, trade and investment, tax and customs, education, agriculture and tourism. Representatives from the European Chamber of Commerce in Vietnam (EuroCham), the American Chamber of Commerce (AmCham), the Korea Chamber of Business in Vietnam (KorCham), the British Business Group Vietnam and the Japan Business Association in Vietnam (JBAV) will also address the event. The forum will discuss a range of pressing issues, such as promoting public-private partnership, high-quality financing, enhancing competitiveness and reducing burden of bureaucracy to optimise free trade agreements, tax and customs transparency, and reform of direct power purchase agreements (DPPA).